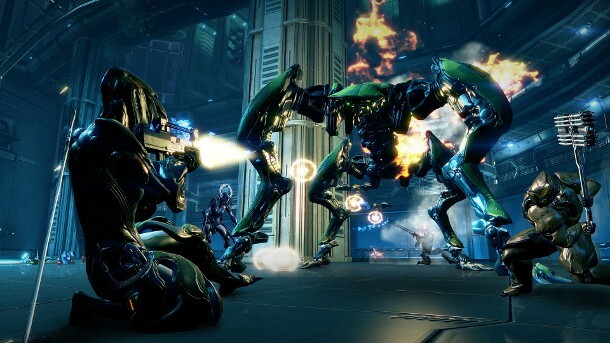 ‘Tis the season for crazy Christmas events and last minute updates as Digital Extremes announce the release of an exciting batch of new content for the critically acclaimed free online MMO shooter, Warframe. Update 11.5: The Cicero Crisis is now available in-game, bringing with it a brand new Warframe, some deadly new weaponry and a new environment. Oberon joins the fray as the latest Warframe, adept at both healing allies and decimating enemies, this new Warframe is already making an impact on Tenno across the world with it’s versatility in combat. Another aspect of Update 11.5: The Cicero Crisis is the much-needed introduction of a new environment set with the debut of Forests of Earth. Today also marks the release of the new Prime Access packages. These new premium packages offer players the opportunity to purchase early access to upcoming Warframe releases as well as a number of in-game benefits such as Platinum and experience boosts. For more information on the Prime Access packages, click here.